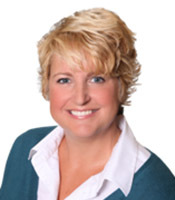 Jill began her real estate career in 2005 on a highly productive team specializing in New Construction. In March of this year she joined William Penn Real Estate Associates. As a Buyers Specialist, with an emphasis on First-Time Home Buyers, Jill greatly enjoys meeting new buyers, spending time with them and helping them along their journey to home ownership. Why choose Jill as your real estate agent? For one thing, she really listens to you and will work tirelessly on your behalf and is available for any questions you may have throughout the process. Jill has lived in Lancaster County since 1988 and just loves the area. She knows the neighborhoods and can help you select the best one for your needs. I love Jill Gilson!!! I could not have asked for a better easier person to work with to buy a home. Jill was always ready and willing to answer questions, and nothing was too small for her to find out. I did not even feel like I was looking at houses, I felt like we were on a tour with a friend! She became an extended part of our family, and is genuinely a good person and Realtor. She was easily contacted and very thorough with everything. When we found the house we bought with Jill, she made us feel at home with the whole process. I must say if we ever were to buy another house or refer a friend or family member, I would send them to Jill Gilson. She makes every single part of buying a house a pleasurable experience! Not to mention I feel like she treated us like family and was always looking out for us and what we wanted in a house. I want to say Thank You to ‘Aunt’ Jill for making this such an awesome transaction and great life experience! Bravissimo for “hitting the nail right on the head” on your endless search for my perfect place. I think you came as close as anything I would have ever have dreamed up, way back, once upon a time in Philadelphia when my house dreaming hit a fevered pitch. How lucky I feel to be the proud owner of exactly the little kind of city place that once set my heart a pitter-patter. Location, location, location! I very much look forward to discovering this new small city & all it has to offer. Thank you for finding me such a great place, for persisting, for listening to all of my list wishes & for downplaying my multiple real estate phobias! Jill and I have worked together on numerous transactions and I would highly recommend her (and do recommend her) to all of the buyers who are looking for a home in Lancaster County. She is a pleasure to work with and communicates very well with myself, my fellow loan officers and her clients. Her energy and dedication to her clients is admirable.